If you are a developer, and want to change the way a library function works, this article will give you a basic idea of how to get started — just enough knowledge to be able to experiment with your library functions. All code here is in C, and tested with GCC on Linux. 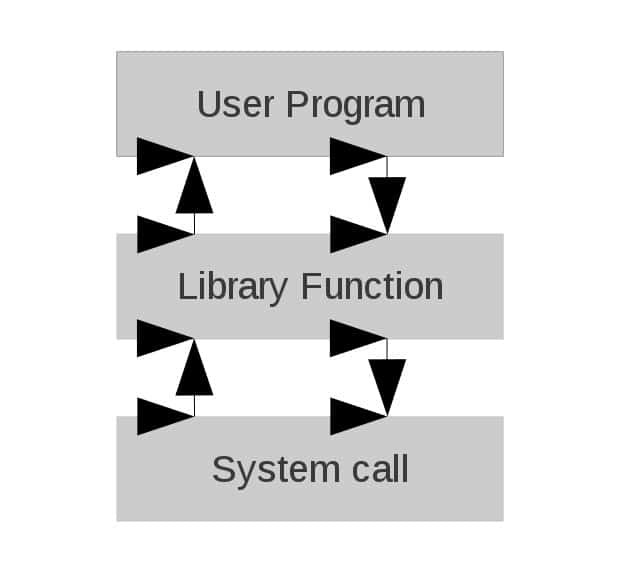 Intercepting a library call, and calling your own wrapper code, is also called Function Interposition. You don’t have to search for the function definition in the library, such as libc (glibc is the GNU C Library, and libc is almost half of the size of glibc) and change it. Seriously, this is a very nasty technical task (at least for me!). You don’t need to recompile the library’s source code. Please look at Figures 1 and 2 for a graphical representation of what happens when a library function is hooked. So, let’s take a closer look at our first hook. The dlsym() function takes two parameters: the first is a handle returned by dlopen(). Here, we must use RTLD_NEXT for function interposition. This tells the dynamic linker to find the next reference to the specified function, not the one that is calling dlsym(). The second parameter is the symbol name (malloc, in this case), as a character string. dlsym() returns the address of the symbol specified as the second parameter. While compiling, fPIC is used to create a position-independent object. The LD_PRELOAD environment variable gives the loader a list of libraries to load before anything else. Our use of it will load libprog2.so and dynamically link it with the prog1 binary. Don’t forget to provide an absolute path to the .so, in LD_PRELOAD. And, of course, include _GNU_SOURCE if you want to use certain extensions while using the GNU C library, because some extensions may not be available on other non-GNU systems and adding this #define will increase portability. Can we hook every function with dlsym()? The following dl_prog1.c is a simple program to show the functionality of dlopen() and dlsym(). The functions file1() and file2() are defined in file1.c and file2.c. Do beware of functions that themselves call dlsym(), when you need to call __libc_dlsym (handle, symbol) in the hook. Ensure that the SUID bit is not set, otherwise you can’t use LD_PRELOAD. 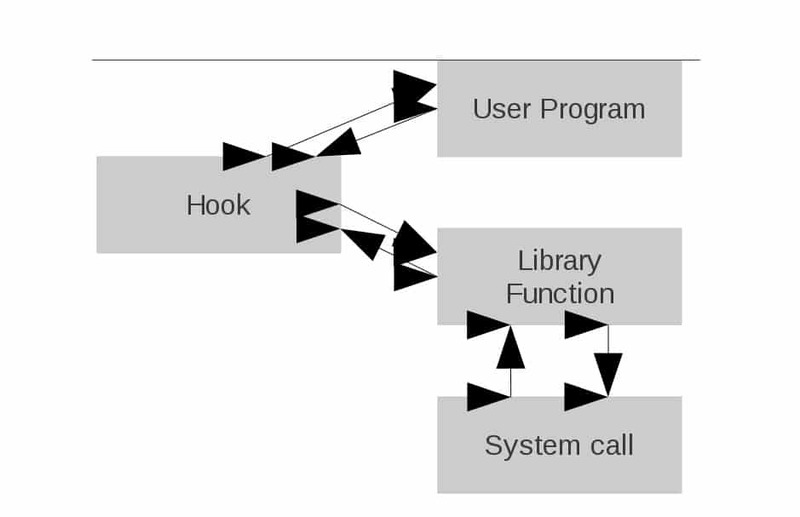 Also, internal library function calls are resolved before runtime — say, if some function in libc calls getaddrinfo() or malloc(), it will never call the hook from a different library. The author is a Linux fundamentalist. He works as a Linux developer with a large organisation, and spends most of his time studying and exploring the uncharted spaces of C and Linux. He dreams of becoming a guitar player some day, and spends precious moments with LP, Cradle Of Filth and Children Of Bodom. Being an open source activist, he uses Linux for every silly little thing. nice post, but doesn’t work for me when I try to give multiple arguments. Simple, so it is wonderful. Just a note on your first example – on my Linux system, for the shared object libprog2.so, the -ldl linker flag must be after the prog1.c parameter, otherwise libdl is not linked into the shared object and the error “undefined symbol: dlsym” will occur at runtime. Is there any way we can hook user program functions also? Hey, and how to deal with library function calls resolved before runtime?